"This is the hell on Earth time for us with E3." 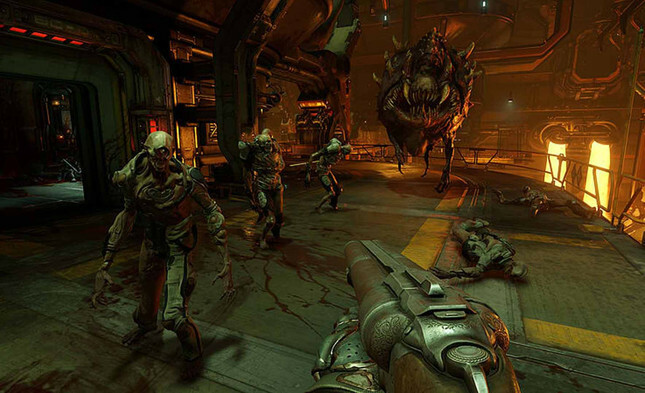 A Doom sequel looks likely to be announced at E3. In an interview DualShockers, Bethesda marketing guy Pete Hines either gave the least subtle hint ever that Doom II is coming, or just expertly raised our collective hopes in order to dash them come June. For those confused: Hell of Earth is the subtitle of id Software’s 1994 industry-shaking FPS sequel Doom II. Hines also pretty much confirmed that last year’s possibly underappreciated immersive sim Prey is getting DLC. In early March, Bethesda appeared to tease moon-based DLC for the mimic-infested game, so surely it will float into view at this year’s E3. Hines said that Bethesda’s E3 line-up was “a big mix of stuff that’s all over the place”. Elsewhere in the interview, he reiterated his company’s commitment to the Switch, divulging that Bethesda was looking to port everything possible to Nintendo’s hybrid console. “We are leaving no stone unturned,” he said. Bethesda has recently ported Wolfenstein II, Doom and Skyrim to the Switch.